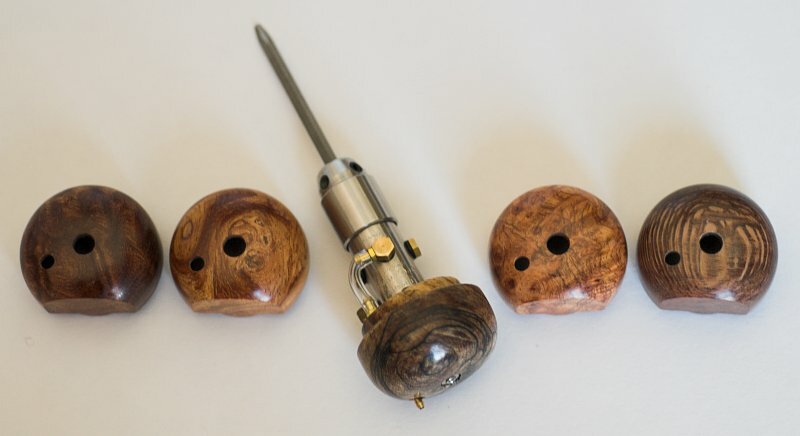 Found a great supplier for burl handles for PalmControls! The supplier said he has even more exotic burls than this. I would like opinions which of these are the nicest looking so we know which ones to make more of. This gives me a great idea. I don't see the three prot holes on the wodden ones that are on my rubber one. Are the no longer needed since the update? They all look fantastic. That's like putting 10 chocolates in front of you and having to decide which one to eat. Ray, Those three holes you're referring to are access holes to screws. I use them to access the screws to tune the tool before shipping. By leaving them off the burl handles it just means that I need to tune the tool with the shell handle off rather than on before shipping. Hi Dave, Quit sending that cold weather from Colorado to Nebraska. Paul's sharpening fixture should be ready for Reno/FEGA. FEGA is next weekend. Hi John, Okay to number 7. Well I have to find some time this weekend to make myself one. Looks nice. I like 3, 4, 6, 7, 8. How about some mahogany, or ebony? The darker, and redder colors seem to look perfect for the AirGraver. How about this; place a selection on the forum or your web sight with pics of each one for sale. The burl handels are like jewels that we can pick from. I could see this turning into a fashion statement. You know like different handels to go with different outfits. Remember the difference between man and beast is his ability to assesorise. Remember the difference between man and beast is his ability to assesorise. Hi Phillip, I think you are right about photographing and letting people pick. The wood grain even from the same material varies a lot and so it would probably be best to let customers pick. The supplier is making more, some of them out of the same materials as these ten and some new ones too. Three of these in the first batch have a small chip or chips on the thin edge at the front. The supplier said he wasn't even going to send them along at first but then decided to include them, just so I could see the various burls available. Soon after Reno I should have the second batch and I can go through and photograph the flaws I see on any of them. The ones without flaws will be priced at $200 and the ones with flaws will be less. These woods are all stabilized throughout, before machining. None of the usual kind of wood finishing is required on the outside surface since they are finished all the way through. 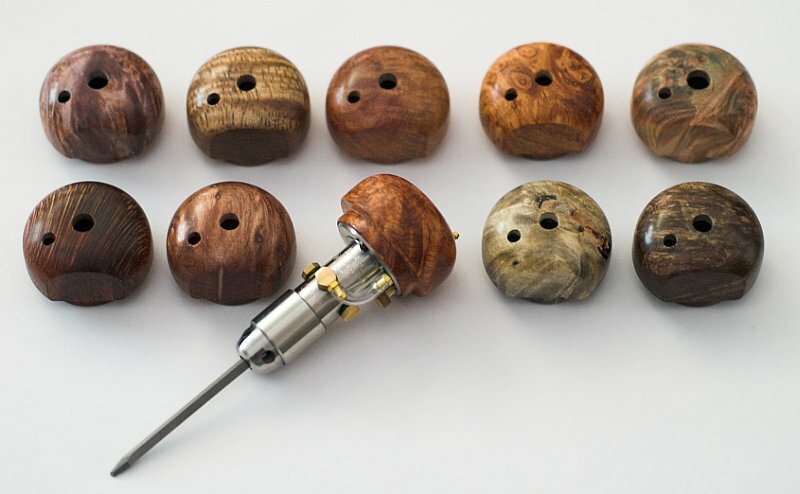 They drill, turn and polish similar to ivory. 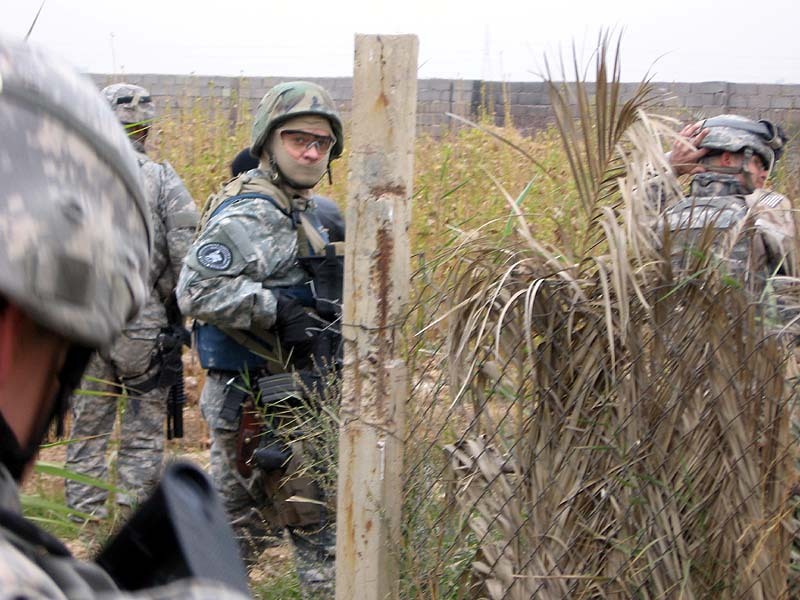 PS... Did your tool reach Iraq yet? Phillip is a soldier stationed in Iraq. Thank you Phillip! Yes, Thank You Philip ! If you'd be so kind as to send me all of them, so that I could have a 1st hand look! Don't worry, I'll send the remaining ones back. You could just "make some" and when there gone, there gone, then make some more. Kinda like a limited edition run. How much are they again? I'll bring them along to the show. Will you be there? Un-determined if I can make the show at this time. One too many other things happening that I can't seem to get put off. Thanks Guys for the support! Although I am a Police Trainer who goes out with Soldiers. Steve; My hand piece came in and it is great, but my compressor went to the bad just before the handpiece arrived. So I will give the HP it's work out when I get to Brescia Italy in about a week. I will be spending several days showing it off to Creative Ats and Bottega while I am there. Steve I would like to give you a special thank you. With out your support these 2 1/2 years I have spent here would have been much harder. You always took time to help me over the phone and on the net. Thank you Phillip, I'm glad the tool arrived there safe! Here is a picture of Phillip on patrol that he emailed a few weeks ago. Which pouch has the Palm Control? You know that you can have one of your buddies blow into the tube and you can actually cut that way. Especially if your engraving their name on their, um, stuff! Please send PIC of that! I got my PC with the rubber handle, I MUST have a buckeye handle. I have a special place for buckeye trees, my Dad and Grandpa had buckeye trees and we considered them good luck (I still do).